With characteristic humility, His Holiness the Dalai Lama begins this landmark survey of the entire Buddhist path by saying, "I think an overview of Tibetan Buddhism for the purpose of providing a comprehensive framework of the path may prove helpful in deepening your understanding and practice." 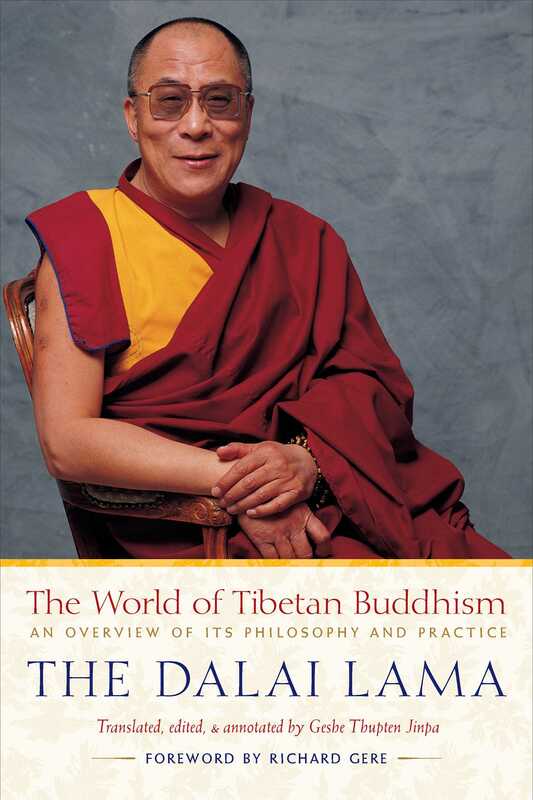 In this book, the Dalai Lama delivers a presentation that is both concise and profound, accessible and engaging. As readers explore Tibetan Buddhism more fully than ever before, they will find in His Holiness a great friend and authority. Tenzin Gyatso, the Fourteenth Dalai Lama, is the spiritual leader of the Tibetan people. Born in northeastern Tibet in 1935, he was as a toddler recognized as the incarnation of the Thirteenth Dalai Lama and brought to Tibet's capital, Lhasa. In 1950, Mao Zedong's Communist forces made their first incursions into eastern Tibet, shortly after which the young Dalai Lama assumed the political leadership of his country. In 1959, Chinese forces occupied the city, forcing His Holiness to escape to India. There he set up the Tibetan government-in-exile in Dharamsala, working to secure the welfare of the more than 100,000 Tibetan exiles and prevent the destruction of Tibetan culture. In his capacity as a spiritual and political leader, he has traveled to more than sixty-two countries on six continents and met with presidents, popes, and leading scientists to foster dialogue and create a better world. In recognition of his tireless work for the nonviolent liberation of Tibet, the Dalai Lama was awarded the Nobel Peace Prize in 1989. In 2012, he relinquished political authority in his exile government and turned it over to democratically elected representatives. He is the author of numerous books, including The Good Heart, The Meaning of Life, The World of Tibetan Buddhism, and The Compassionate Life. "Overall, I cannot think of another work by the Dalai Lama that so thoroughly surveys Tibetan Buddhism. One of the most concise and authentic texts available." "A lucid and profound yet eminently readable introduction to this subject." "Suitable for beginners...as well as more advanced practitioners of the Buddhist way." "The value of this book is that it brings many central teachings together in a single volume, clearly and accurately translated." "Written in the Dalai Lama's characteristically straightforward, friendly style which makes these profound teachings accessible to a wide audience." "A rare and marvelous opportunity for English-language readers to learn more about Buddhism and its spiritual leader." "An invaluable review of Tibetan Buddhism's spiritual foundations." "The Dalai Lama explains in brief but lucid detail every aspect of the Tibetan path to enlightenment." "The definitive book on Tibetan Buddhism by the world's ultimate authority." "A landmark survey of the entire Buddhist path."